A pool is the perfect place for bringing family and friends together on a summer day. Little River Pool and Spa has over 30 years of both inground and above ground pool experience. We specialize in first-rate, quality pool construction. 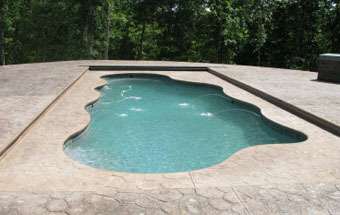 Premium raw materials and unique four stage manufacturing creates a fiberglass pool unequal in looks and performance. Homeowners will save as much as 70% on chemicals and 30% on electrical costs. Fiberglass never needs to be resurfaced.